Who is Grug? 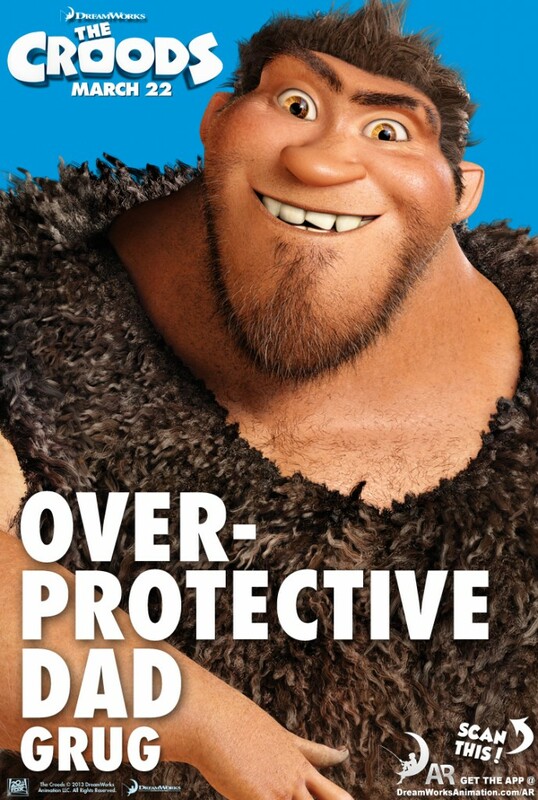 He is the overprotective yet loving dad (voiced by Nicolas Cage) in the new DreamWorks Animation film, The Croods. The Croods is about a family of cavemen forced to embrace change. This movie looks like a whole lot of fun and I can’t wait to take my girls to see it (you can watch the trailer here). 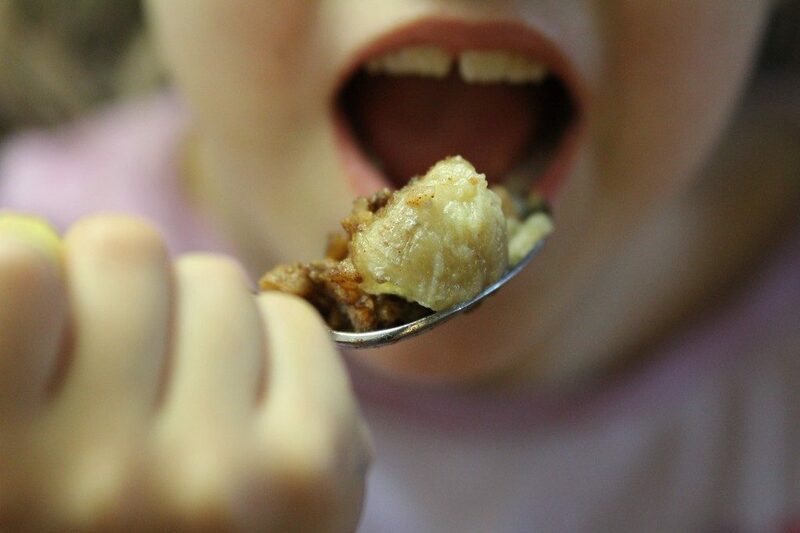 When I talk to my children about the way we eat, I like to phrase how we eat in a positive way (as you know, I like to approach every aspect of our diet and lifestyle in a positive manner). I like to explain that we only eat the most nutritious foods so we can be healthy and happy. But, my daughter is a language nerd (at the ripe old age of 6 years) and when she asks what the word “Paleo” means, we do talk about cavemen living a long time ago, how they lived and how they ate. 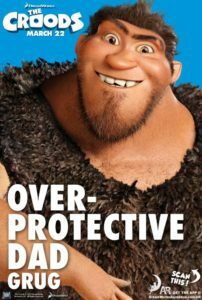 The idea of cavemen is fascinating to my daughter, so I think when you combine cavemen with a family-friendly animated movie (about the importance of family no less! ), it feels a little like striking gold! So, of course when I was asked if I wanted to create a thematic recipe to support the movie, I couldn’t possibly say no! I knew instantly that I wanted to create a recipe that used fire (okay, the barbecue but you could make this recipe over a campfire too). I also knew I wanted to use an ingredient from the movie itself. Enter the banana. In the movie, The Croods meet the Punch Monkeys (aptly named monkeys who punch). Grug discovers that the secret to not getting punched by the Punch Monkeys is to give them bananas. And there is the inspiration for this recipe! Fire + Banana! 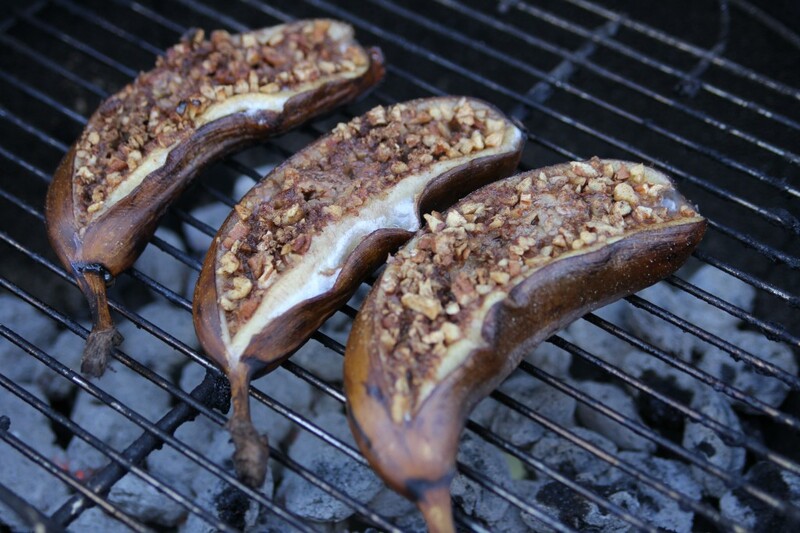 These barbecued stuffed bananas are so delicious and very easy to make. The secret is to use quite ripe bananas (they are sweeter but also their flavor works better once cooked). I’ve included alternate directions for baking them in the oven, but I really do think they are better on the barbecue (isn’t everything?). My husband and girls love these! The stuffing is simply made from some chopped nuts and spices. I used dried, ground spices, but you could use whole fresh spices and grind yourself if you prefer. 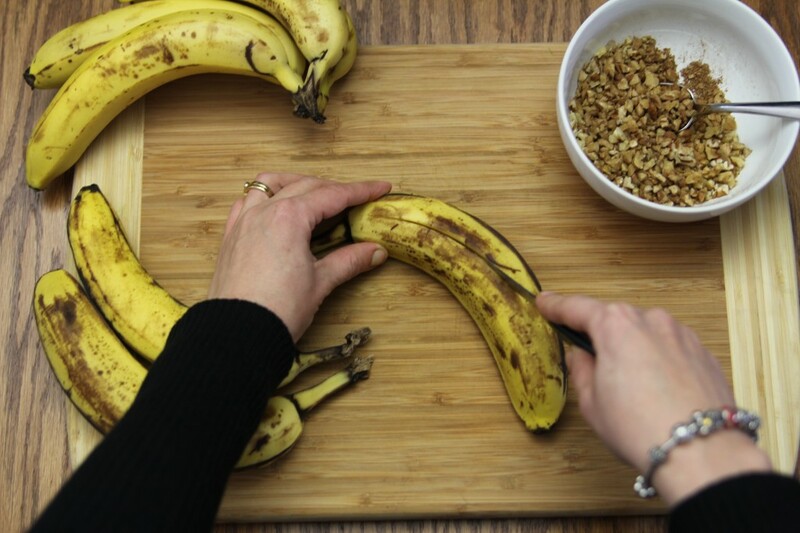 To stuff the bananas, cut lengthwise but be careful not to cut through the peel on the bottom. 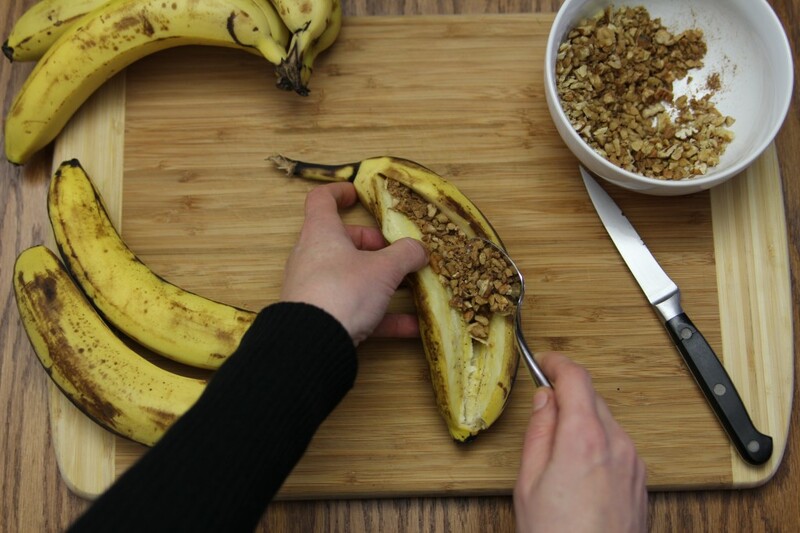 You can get away with cutting about three quarters of the way through and the bananas will still open up easily. 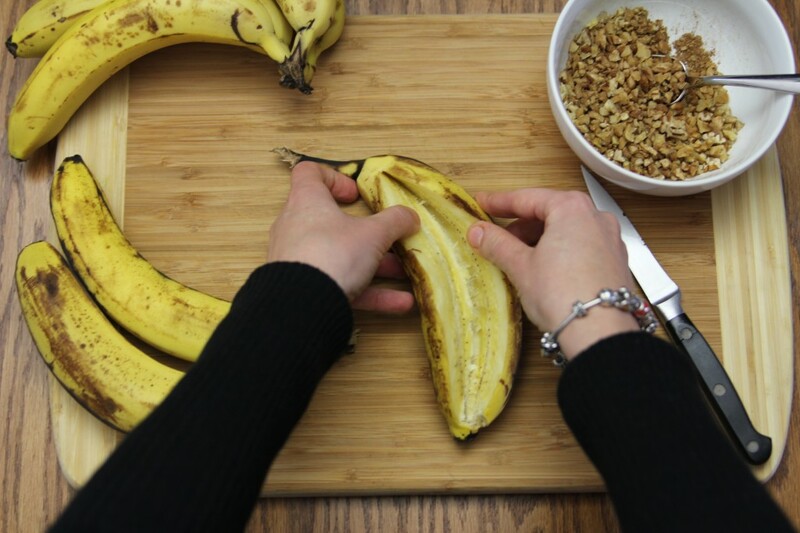 Once sliced, open the banana to create a groove for the stuffing. Sprinkle the nut and spice mixture in the banana (you can get quite a lot in there-about 3 Tbsp of filling for a medium banana and about 4 Tbsp for a large banana). Repeat until all of your bananas are stuffed. Now, place those bananas directly onto the barbecue after you’ve cooked the rest of your dinner and the coals aren’t super hot anymore. In about fifteen minutes, you’ll have a very delicious treat. 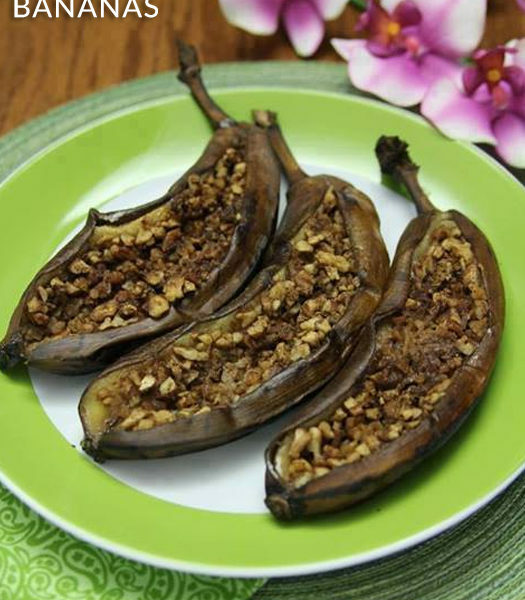 The warm banana tastes very sweet and takes on a slightly lemony flavor from being cooked in the peel. The nut and spice mix is reminiscent of a crumble topping. It’s kindof like eating a warm and soft banana coffee cake. 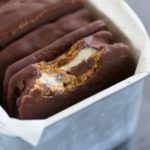 I know The Croods couldn’t make ice cream, but you can, so feel free to serve these with a scoop of The Best Ever Paleo Vanilla Ice “Cream” to make it an extra special dessert. 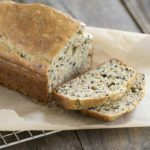 This recipe makes 2 large or 3 medium bananas—2-4 servings. This recipe doubles and triples well, so feel free to make a bunch! We all like them warm, but they are still very good as leftovers. Prep time: 5-10 minutes. Cook time: 12-18 minutes. 1. 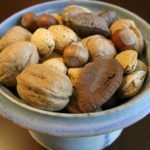 Chop nuts fairly finely (it’s okay if they aren’t completely evenly chopped). 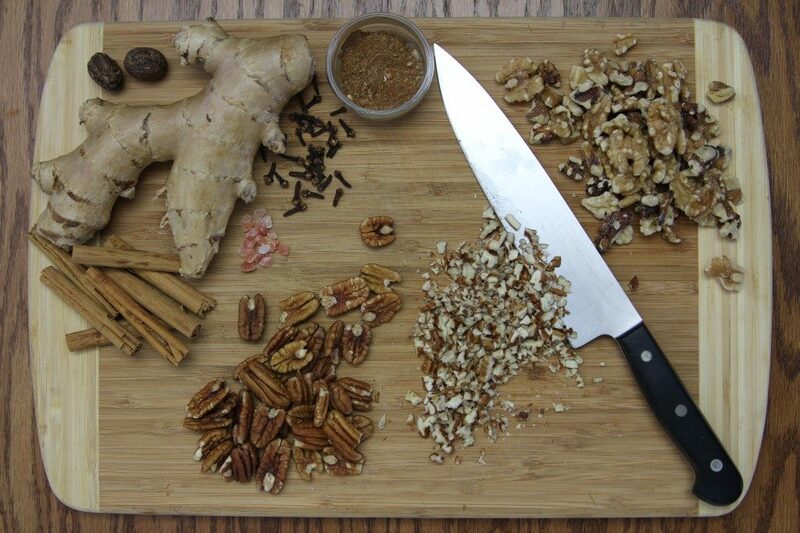 Combine chopped nuts with spices and mix to evenly coat. 2. Slice bananas lengthwise about three quarters of the way through the banana (careful not to cut the peel underneath). 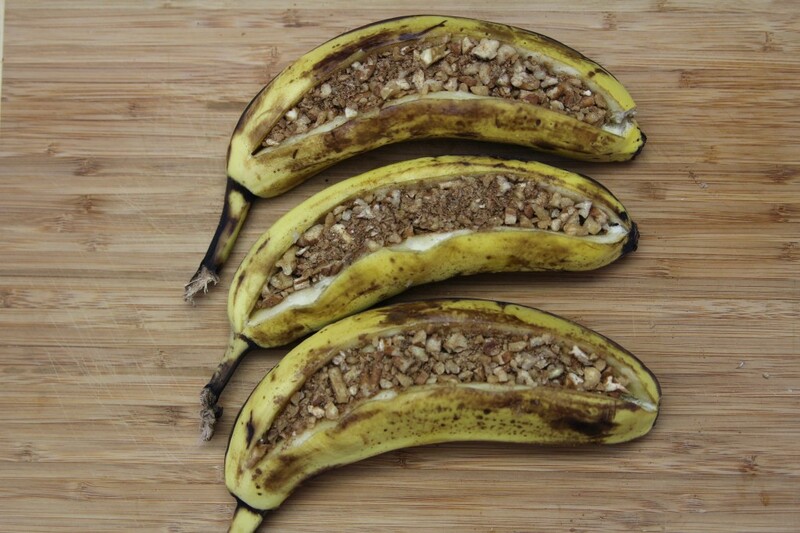 Spread the banana open and fill the groove with the nut and spice mixture. 3. Barbecue on a medium to moderately hot grill for 14-18 minutes (time will vary based on the size of your bananas and how hot your grill is). 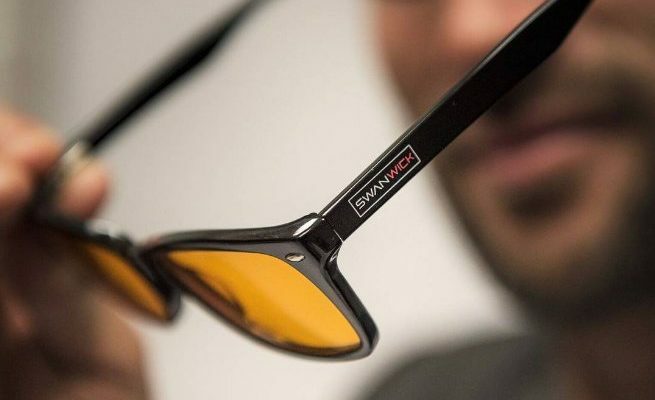 The peel will darken (and maybe turn completely black) which is normal. You know they’re done when the peels are dark, the banana is bubbling away and they smell fantastic! 4. 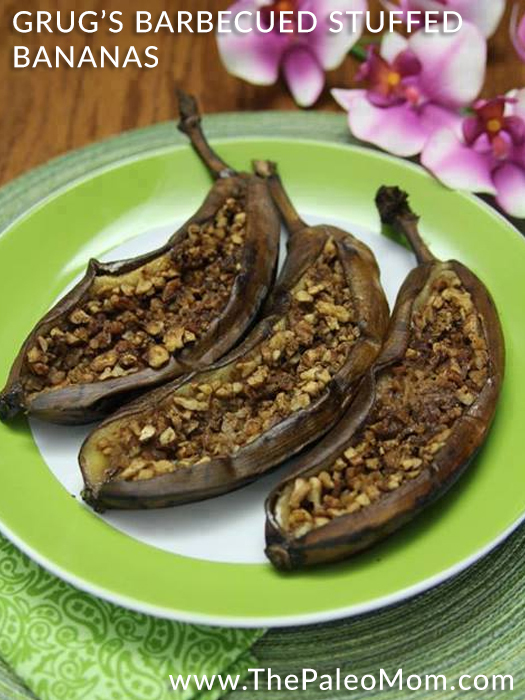 Alternatively, place stuffed bananas on a cookie sheet (line with parchment paper, tin foil or a silicone liner to make clean-up easier) and bake at 425F in the middle of the oven for 12-14 minutes. 5. Remove from the grill (or oven) and enjoy warm! 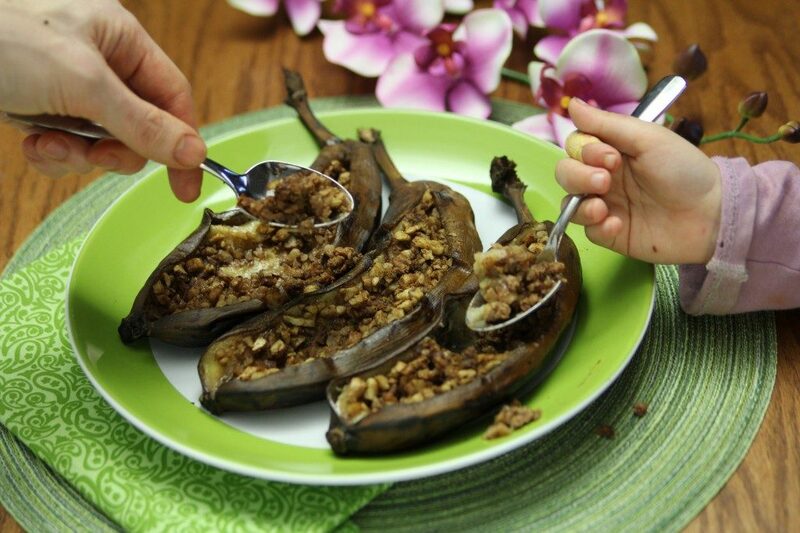 Eat with a spoon scooping right out of the peel! A scoop of The Best Ever Paleo Vanilla Ice “Cream” is optional. No one wanted to wait until I was done photographing the bananas to dig in–which made for some fun extra photos. Yes, these are that good! And a big thank you to The Croods for the inspiration! 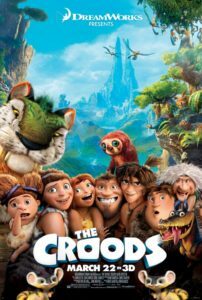 The film hits theaters on March 22, check out the official website here and don’t forget to like The Croods on Facebook too. 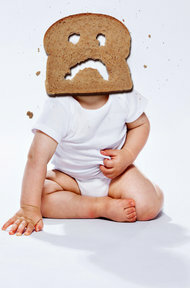 Previous Post: « A New Study Has the Media Buzzing About Gluten. Again. This looks amazing! My kids eat bananas almost every night after dinner. This would be a fun way to spice it up for dessert. I also cannot wait to take them to the movie! How fun! Can’t wait to try it. Love the photos in this one! These were awesome! Made them after grilling a bunch of meat, and they were a great finish to our meal. We agree that they would be great with some vanilla ice cream. 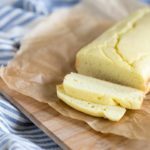 I have made these twice since you posted the recipe and they are amazing! It tastes just like a bananas foster treat my mom and I used to get at TCBY. Yum! We had friends with young kids over last night and tried these with 3 different ice cream flavors. So fun! Our young adult kids enjoyed preparing them for the grill while I got dinner ready. Popped them on the grill just as dinner ended. 15 minutes later we had a fantastic dessert. You are awesome – keep ’em coming!!! 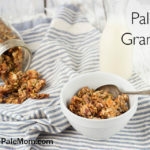 Was this a movie-sponsored post like the Croods recipe post over at nomnomPaleo? These are super delicious!! They were the perfect sweet compliment to my savory chicken for dinner. 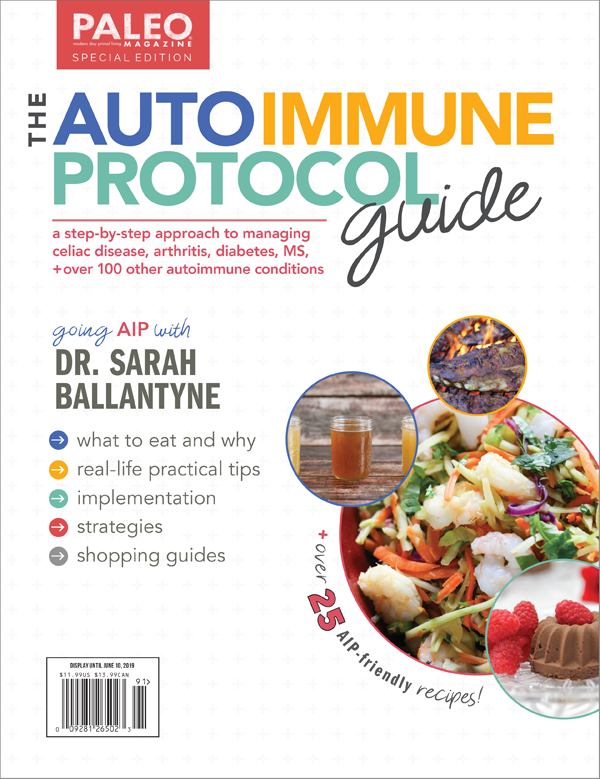 Thanks so much for all your wonderful recipes and information! 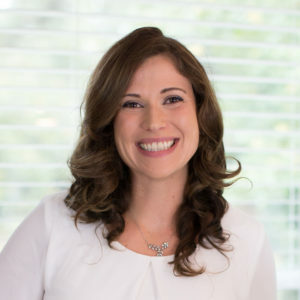 You are truly an inspiration and I’m so glad I found your site! These look fantastic! 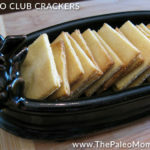 I’m planning on making them as a treat for a Paleo 4th of July dinner tonight. A friend taught me a similar recipe, but stuffing the banana with dark chocolate and berries instead. Indeed, bananas are canoes for many delicious stuffings . . .
Hope it is not too late to get a reply regarding this wonderful looking recipe. Can ripe plantains be used instead of bananas? And I don’t have a BBQ [I know that’s heresy] so can these be baked in the oven? I add chocolate chips and they melt! Cooked banana and melted chocolate taste great together!! !